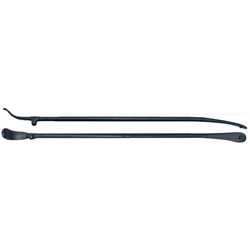 Tubeless Truck Tire Mount / Demount Iron 37" Ken Tool T45A / BOWES KT T45A. Ken-Tool’s patented designs offer one-piece construction, and assure long life for many tirechanging applications. Tip ends insert easily and will not cut or rip bead or sidewall. These designs make it easier to mount and demount tires without changing the way the tool is used.